Specialising in premium quality safety signs, National Safety Signs offers a large selection of signs and equipment designed to keep the workplace a safe and accident-free zone. Safety signs are not the only type of sign we produce. 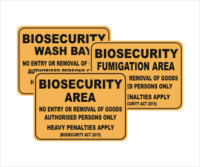 There are many other signs, such as parking signs, security signs, no smoking signs, road signs and traffic signs, hazchem signs, quarantine signs, toilet signs, kitchen safety signs and more. 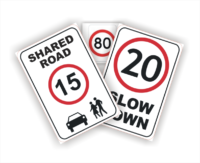 We pride ourselves with our quality Australian made Safety signs, we do not import any signs in from overseas. If you purchase your signs before 2.30PM AEST and we have them in stock, we will ship the same working day. 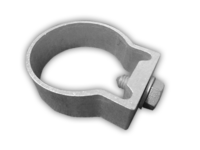 Alternatively, if we have to manufacture them, we usually ship the following day. Enter in your shipping address while checking out to automatically calulcate shipping costs. If you are local, we do offer local pick up from our workshop in Helensvale. National Safety signs is a Family owned business. You are dealing with the owners when you buy. We are based in South East Queensland and ship signs all over Australia. Our website utilizes a 2048 bit encryption, protecting you while you browse and purchase products. We do not see or keep your Credit card details. You can pay by Visa, Mastercard, Paypal or EFT online.